Perth is one of Australia’s most progressive cities posting a growth rate that is consistently besting the nation’s average. Aside from its economic promise, its gift of nature is another top expat draw. Perth became known as the City Lights after residents lit up their homes and streets while American space traveller John Glenn travelled overhead onboard Friendship 7 in 1962. The city holds a population of 1,972,358 people with an expat population amounting to 34%. When expats read about good things happening in Perth, they know it's not all hearsay. The city is ranked fifth on the list of the World's Most Livable Cities by The Economist in 2009. With an employment rate of 75%, expats are sure to find numerous job opportunities in the city. Major job industries include the professional, scientific and technical services along with the mining industry and accommodation and food services. Of course, those who have experienced the city first-hand will still have the most beautiful and reliable stories to tell. Other attractions that newly arrived expats can't get enough of include the 400-hectare Kings Park and Botanic Garden on Mt. Eliza which, until the infrastructure boom in the 1960's, offered an enchanting view of Perth and the Swan River, the Australian Museum which houses Perth's culture and customs under one roof, and the Perth Zoo where one can catch a view of wild, exotic animals in a lush greenery. As a narrow plain sandwiched by the Indian Ocean and the low-lying Darling Range, this capital and largest city of the Western Australian State has level sandy rolling terrains, deep bedrocks and two main river systems that include the Swan and Canning Rivers and the Murray Rivers. Its weather is nothing extraordinary for its geographical location, with winters being moderately cold yet rainy especially in the months of June to August and summers and springs being hot yet still pleasant under the sun. Packing must include weather-appropriate attire such as warm clothes, closed in shoes and wet gear for the cold season and tank tops, shorts and bikinis for dry days. With the city's UV index of 10, sunscreen is most definitely a must, along with mosquito repellents for those who plan to do lots of bushwalking and other outdoor adventures. Perth is a multicultural city composed of migrants from various parts of the world, the greatest portion of which comes from Britain and Ireland. However, other communities have relocated and brought along some culture from their countries of origin, including New Zealand, Germany and Italy, Asian nations such as Malaysia, China, Singapore and Vietnam, among others and even South Africa and Zimbabwe. Today, the city is a colorful collection of five neighborhoods including the City Centre, home of the world-famous King's Park, the main port known as Freemantle which houses the Western Australian Maritime Museum, Northbridge, the metropolis' nightlife capital, Rottnest Island where most people hide away from the city bustle and the Swan Valley which is famous for its vineyards and wineries. The collective society of expats finds Perth open and devoid of cultural discrimination, paving the way for various religions flourishing in its different regions where the most common are Christians, Buddhists, Baptists and Jewish Orthodox. As a natural result of such cultural diversity, various languages are also spoken in the city by the different communities. English, however, remains the official language whose use is considered a pillar of its booming tourism industry. And as one major uniting factor in this multiracial community, foreigners around the world are all the more convinced that Perth could just be the next best thing to home as they consider living offshore. Perth has always been popular because of its sandy beaches, cool winters and almost year-round supply of sunshine. 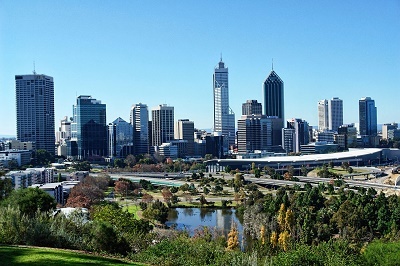 Despite being considered as one of the most geographically isolated cities in the world, Perth has a rapidly growing demand for overseas employment making it a magnet for expats who are searching for career opportunities abroad. You can also look forward to living in a city that is known for having vast green spaces, clean environment and low pollution. So if you are already decided to seek success in the Western Capital of Australia, here are a few tips to help you out. One of the primary duties you have to take care of is the place where you are going to live. You can do some research beforehand by browsing through online portals that show real estate properties in Perth. These advertisements include a picture, location and cost of the rentals which will give you some idea of what to expect in the housing market. Once you arrive, the fastest and easiest way is to contact local realtors. They have a broader range of options and know the neighbourhoods very well. Utilities like water, electricity and gas can cost up to €150 per month. Other service like an internet connection is around €50 monthly while local mobile calls (prepaid) are charged at €0.21 per minute. The cost of living in Perth is estimated to be the highest in the country. You can find many house/apartments where you have the flexibility to choose between short term and long term rental agreement. Most expats are residing in the city centre where the price of a one bedroom apartment starts at €1200 and €1850 for a three bedroom unit. There are also accommodations in neighbouring districts where you can find a one bedroom flat for around €900 and a three bedroom unit for roughly €1200 per month. 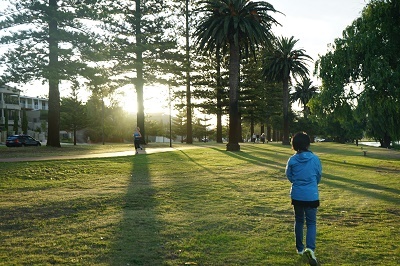 Expats moving in with their children can check out Cottesloe; a beachside suburb with parks, cafes and considered to be to be the cleanest and safest neighbourhood in Perth. A huge number of expat children are enrolled in one of the eight private schools that use the International Baccalaureate Program in their curriculum. One of these is the International School of Western Australia. There are over 600 state-run schools in Perth that provide world-class quality teaching like the Murdoch University, which was founded in 1973. Many shipping and removal companies provide their professional help to expats moving abroad. You can hire these people to help you move your belongings to Perth where they will pick up your packages and ensure its safe delivery to your new home. The average transit time by sea to the Port of Fremantle (Perth) takes up to 42 days, but will still vary depending on your country of origin. For further information about the city’s import regulations, click here. Perth implements strict ten-day quarantine for all animals entering their city so it's better to notify local officials before your arrival. You also need to bring certain documents like the pet’s Rabies Certificate and International Health Certificate, which are both issued by a licensed veterinarian from your originating country. 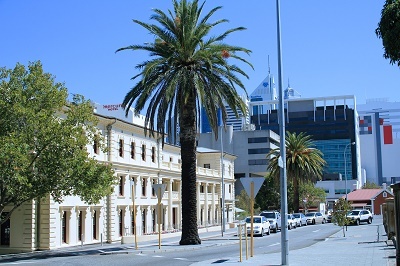 Perth is one of the most thriving cities in Australia. But despite it’s much talked about success, you don’t have to worry about being surrounded by too many people. Perth has perfected the craft of moving towards modernisation without sacrificing its natural breathtaking beauty. Perth is for sure one of the fastest growing major cities in Australia. It has transformed from being a relatively laid back town to a thriving and vibrant cosmopolitan. Perth is not just oozing with economic potential but also with natural beauty which is two of the top reasons why expatriates choose to start a life here. The fourth-most populous city in Australia is also the capital city of Western Australia. Continuously ranking as one of the most liveable cities in the world, Perth is home to many expats particularly those from Britain who currently represents 10 percent of its total population of more than 2 million. Foreigners who would like to explore more on the mining industry and have their careers prosper in this specific field are encouraged to start a life in Perth. Perth is for the sporty and outdoor-cantered expat families. The environment in the city is young and vibrant which makes it a wonderful city for kids to have fun and explore. Expat families may visit different attractions in the city depending on their interests. For those who would like to have their kids learn while having fun, The Aquarium of Western Australia (AQWA), Trees Adventure, and the Nostalgia Box – Video Game Console Museum are the top educational spots to be. Other activities for kids to try in Perth include visiting amusement parks such as the Adventure World and Perth Wake Park. Perth boasts the highest number of restaurants compared to other major cities in Australia. From fresh seafood, gourmet dishes to fine wines, Perth is a haven for expats who have taste buds that yearn for nothing but excellence when it comes to food. Because of its diversity, it’s no doubt that the city centre is lined up with Italian and other international restaurants but the must tries are the establishments that serve authentic Australian dishes. Newcomers shouldn’t miss tasting some of the staples of the local cuisine such as the meat pie, sausage roll, fish ‘n’ chips, fairy bread and barramundi. When it comes to buying fresh produce, the weekend local markets are the place to be. Here, products of all sorts can be found and buyers can expect that everything on the stalls came from the best farmers, artists and producers across the region. Banking in Perth is similar in any part of Western Australian and has a few selections of international banks for expats to choose from. Among these banks are Bank of New Zealand, Banque Nationale de Paris, Chase Manhattan, Citibank and the Bank of Melbourne. For expats wanting to open a local bank account in Perth, there are five largest banks in Western Australia to trust which are BankWest, ANZ, the Commonwealth Bank, National Australia Bank and Westpac. Expats living in Perth are advised to have their cars since it is practical to have one while staying in the country. The roads and highways in the city are toll-free, and it is very rare to encounter traffic congestion anywhere in the city. Even though it is very seldom to see police patrolling the highways, expats are still advised to drive within the general speed limit of 50 kilometres per hour. This is also to avoid being faced with any fines. Foreigners living in Perth would notice that the primary hurdles they will encounter in the city include anything related to money, the Australian accent and marsupials. Many expats may also have been confused and have heard that Australians’ culture are somewhere in-between of Americans and British, but it is not. Expats must also take note that locals in Perth are very particular with practising equality and fairness in anything they do. One important reminder that everyone must know is that smoking is banned in clubs, bars and hotels in Perth. Locals of this city love the fresh air and put great effort in maintaining it. Always look for a designated smoking area before lighting a cigarette, particularly inside establishments or in public places.